Shoveling Snow: Winter Chore Or Health Hazard? Believe it or not, winter has officially begun! And, although there has been a lack of significant snowfall and cold temperatures in our area, we should still be prepared for the possibility of more seasonable weather. Typical winters in the Northeast are beautiful, especially after a fresh snowfall. However, as many of us know, the arrival of snow means that it is time to dust off our shovels and get to digging! 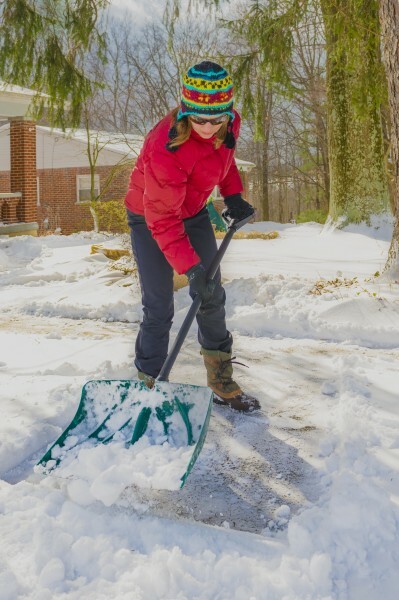 “We understand that shoveling snow is our winter norm, but did you know that shoveling snow can actually pose a serious cardiac health risk to some of us?” asks George Becker, MD, Director, Emergency Department, The Valley Hospital, Ridgewood, NJ. In fact, although most people are not in danger from shoveling, the American Heart Association (AHA) still shares useful tips for anyone shoveling snow in the winter. To begin with, the AHA recommends that those who don’t exercise on a regular basis, those that have a medical condition, or those that are middle age or older consult with a doctor before shoveling. •	Take frequent rest breaks during shoveling. •	Don’t eat a heavy meal prior or soon after shoveling. •	Use a small shovel or consider a snow thrower. •	Don’t drink alcoholic beverages before or immediately after shoveling. •	Be aware of the dangers of hypothermia. •	Learn the heart attack warning signs and listen to your body. Some signs that you might be having a heart attack are pain in the chest, arm(s), back, neck, jaw or stomach. You might also break out in a cold sweat, feel short of breath, nauseated, lightheaded, or uncomfortable pressure, squeezing, fullness in the center of your chest. Typical winters in the Northeast are beautiful, especially after a fresh snowfall. However, as many of us know, the arrival of snow means that it is time to dust off our shovels and get to digging! “We understand that shoveling snow is our winter norm, but did you know that shoveling snow can actually pose a serious cardiac health risk to some of us?” asks George Becker, MD, Director, Emergency Department, The Valley Hospital.